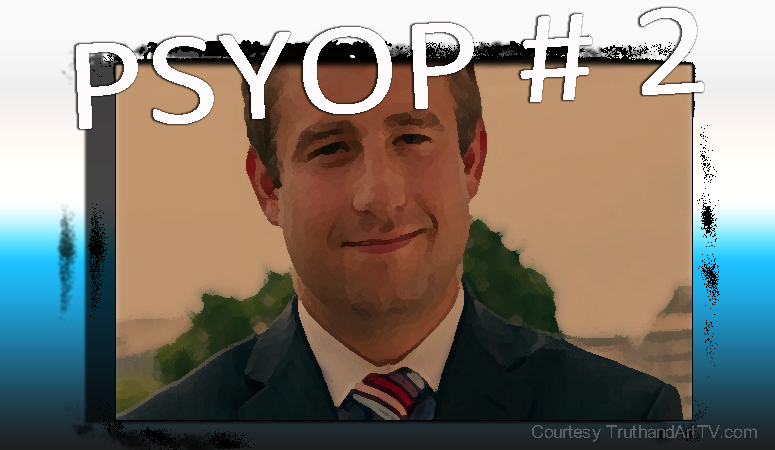 Another Seth Rich Murder Psyop Launches- 2 In One Day! We're all familiar with the deep state agenda and how lies are told to us by the mainstream media to point the blame for deep state crimes away from the conspirators. For years however I've been discussing with my audience a very real parallel psyop movement which mimics the overall purpose of this same deep state media. That is, they also serve to effectively point the finger of blame away from the deep state conspirators who commit crimes here in the US. That movement is unknown it seems to many in the alternative media but not to those who follow my work. I call it the "blame everything on Israel" movement. false flags at night. No one’s around-duh! The MOSSAD controllers of this black op had the whole street locked down since Seth left the bar at 1:30 in the morning. None of the crime scene facts could be proven, except by the people planted around before and after who have spoken publicly. Do you now see how this whole psyop was set up. It’s a total joke...on the Clintons, of course. And the DNC. And the Democratic Party. Talk about a skunk at their garden party right in D.C. The MOSSAD infiltrated their campaign with a Sayanim contractor - Seth Rich - who’s now probably living on a kibbutz somewhere in the Negev desert-at a locked-down oasis community after having LOTs of plastic surgery. Look it, this op took Hillary right out of the race. The Alt Right swallowed it-hook, line and sinker-and did just that-they sunk her. One more murder was all they really needed on her rap sheet to motivate the borderline Trumpsters to get out and vote. The concerned Israeli think tanks knew the electoral calculus right down to the voting precinct level, so they knew every single vote for Trump mattered. What you've read is just a portion of the "anonymous" source wild claims. As you can see, according to this "new" claim all of the DNC crimes, the Wikileaks revelations and even the Trump victory according to this brand new anonymous source was one big psyop against Hillary Clinton, John Podesta and the rest of the deep state! And Israel and their secret and ever-transparent almighty Mossad did all of this to secretly insert President Trump into the White House! If you are laughing by now or at least shaking your head then rest assured you are probably very reasonable and discerning. Trust your own intuition. I find this equally if not more laughable and ridiculous than the "serial killer" perfectly timed psyop from earlier today (June 21, 2017) and I assure you both are designed with the exact same intention. Both are psyops designed to point the blame away from Hillary, Podesta, Debbie Wasserman Schultz and the rest of the DNC implicated in the Podesta and DNC emails exposed by Wikileaks. That includes the email where Podesta is talking about "making an example" of the leaker. This is also designed to pull your attention away from the fact the Kim Dotcom CEO of Megaupload.com recently came out and said that if offered protection he will testify before congress that indeed Seth Rich leaked the DNC documents to Wikileaks. All of this establishes a clear motive which the conspirators cannot get out of. And now with the Russia psyop losing momentum the deep state criminals are clearly panicking and willing to try anything to pull people's attention away from the criminals who are now very nervous that the Justice system may be catching up to them. For this reason I firmly believe that today (June 21, 2017) we've seen not one but two distinct psychological operations launched in the same day by anonymous and noncredible sources in an attempt to not only distract as I've already mentioned but to also create division in what people think. It's the oldest trick in the book, divide and conquer people (in this case, within the alternative media) as to who they believe "really murdered" Seth Rich. This tactic worked masterfully with 9/11 and today in 2017 we should not only expect it but be vigilantly looking out for signs of it.